Getting a great deal on your van cover starts right here. But how do you know what a great deal looks like? At The Van Insurer, we only compare van insurance so we know a thing or two about what matters, so here’s the lowdown on finding a policy that best suits you. Van insurance isn’t like a tin of beans – you can’t just buy it off the shelf. There are all sorts of things you need to think about – such as whether you need extras like breakdown cover, or a guaranteed courtesy van. •	Comprehensive – as the name suggests, you get the most cover with a comprehensive policy, but you’ll pay for it too as they’re typically the most expensive. You’ll be covered for damage done to other people and their property and you’ll also be compensated for repairs to your own van (even if an accident is your fault). •	Third party, fire and theft – this covers the cost of damage done to third parties and also compensates you if your van is fire damaged or stolen. •	Third party only – this only pays out for damage done to other people and their property (including your passengers), but it doesn’t cover the cost of repairs to your own van if you’ve caused an accident. No surprises then, that this is the cheapest type of policy you can buy and also the legal minimum you can have. Third party only policies might look like a bargain but don’t forget that if you have an accident and are at fault, you’ll be the one forking out for your own repairs. Whatever you choose, if you can afford to, it’s worth paying for your policy in full for the year. It’s a big chunk of money but often works out cheaper than paying in monthly instalments. A secure van is a safe van – and that’s what insurers like. If you’ve got a garage at home, then locking your van in it overnight is an insurance provider’s dream as it’s less likely to be stolen or damaged. If that’s not possible, secure your van with an approved alarm or security system and remove all tools and valuables at the end of the day. Another way to keep premiums down is to keep your no claims bonus intact and that means driving as sensibly as you can, such as sticking to the speed limit. In most cases, modifying your van is a no-no as it can make it more expensive to repair – in turn pushing up your premium – but there are some exceptions, such as fitting an approved tracker or alarm. Signwriting your van for work is another modification that can help lower premiums. Not only does it make your van more identifiable and less appealing to thieves but some insurers also think it shows you’ll take extra care of it. That flash van with the alloys and ‘sporty’ spoilers might seem like a good idea on the forecourt but buying a fancy van that you don’t really need could send your premium soaring. We’re not suggesting you only stick to boring old billy basic or completely ditch comfort, just that you try to choose a van that best fits your needs. So, if you only need a small van for local deliveries say, then don’t buy a 3-litre off-road truck – it might be jungle out there, but it isn’t one literally. 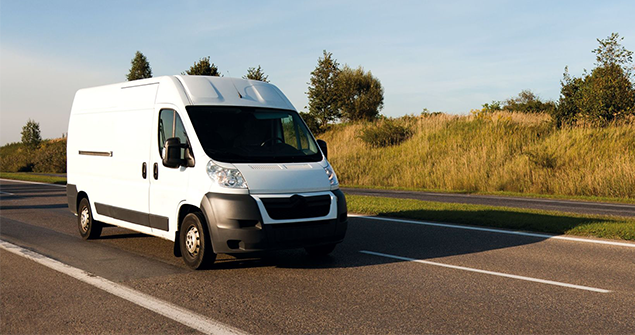 A good insurance policy should reflect your needs so be accurate with mileage and be honest about what you use your van for, otherwise your policy won’t protect you. The moral of the story? Be upfront, tell it like it is and when it comes to extras, think about what you really need – bells and whistles are tempting but it won’t be money well spent if you don’t need them. The bottom line is that a good deal is one that meets your needs – no more, no less. So, now you know what to look for, why not start your search or give us a call on 0330 022 7725. We save you time, hassle and money by comparing quotes from dozens of providers across the UK, including Northern Ireland based insurers such as Hughes – what are you waiting for?